Dental reconstruction, or full mouth reconstruction, is the process of rebuilding or restoring all of the teeth in both the upper and lower jaws. Reconstruction addresses all aspects of your oral health in one, all-inclusive procedure. Why should you consider a full mouth reconstruction? Read below to see how our full mouth reconstruction service can help you! Your teeth are permanently injured or fractured. 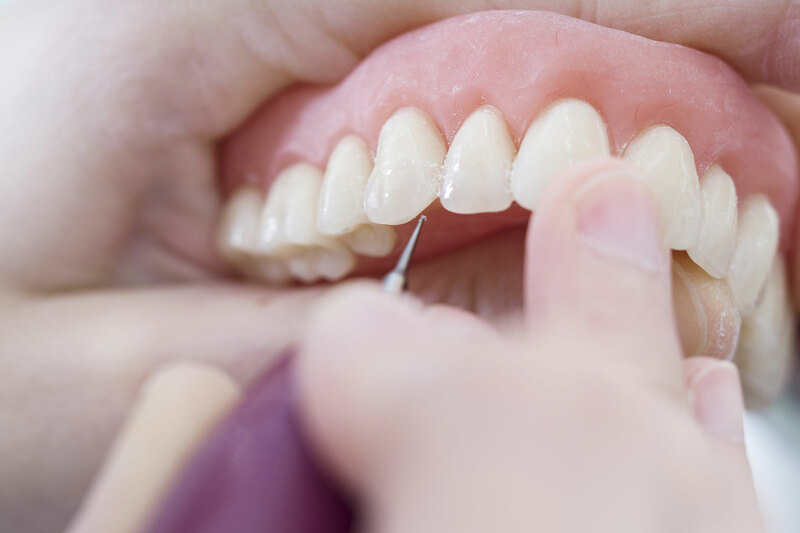 Your teeth have become severely worn from long-term acid erosion or tooth grinding. Full mouth restoration is a complex and comprehensive treatment which requires a lot of experience. It is vital to have a dental partner you can trust. Fortunately, Dr. Lawrence Lesperance brings more than 25 years of experience to the table. South Gables Dental offers a comprehensive approach. Our full mouth reconstruction service addresses all aspects of your oral health in one procedure. We use cutting edge technology to design an effective treatment plan that will drastically improve your oral health. Our treatments will remove your dental pain you may be experiencing and help you get your best smile back. Like your fingerprint, you have a unique oral anatomy and have unique oral needs. Because of this, no 2 reconstructions are the same. We will build you a custom solution that will remove any oral health concerns, improve your mouth cosmetically, and make you smile. Schedule an appointment with South Gables Dental in Coral Gables so that we can assess to see if you need dental reconstruction.